© Mayku 2018. All rights reserved. Kohl’s Design It! Lab is a grant-funded space at Milwaukee’s Discovery World Science and Technology Museum, on the shores of Lake Michigan. Its program focuses on industrial design, with classes and workshops open to the public free of charge. The lab is located on the second floor of the museum and is staffed by designers and technicians who instruct and teach school groups on weekdays and members of the general public on weekends (general admission to the museum includes free entry to the lab). 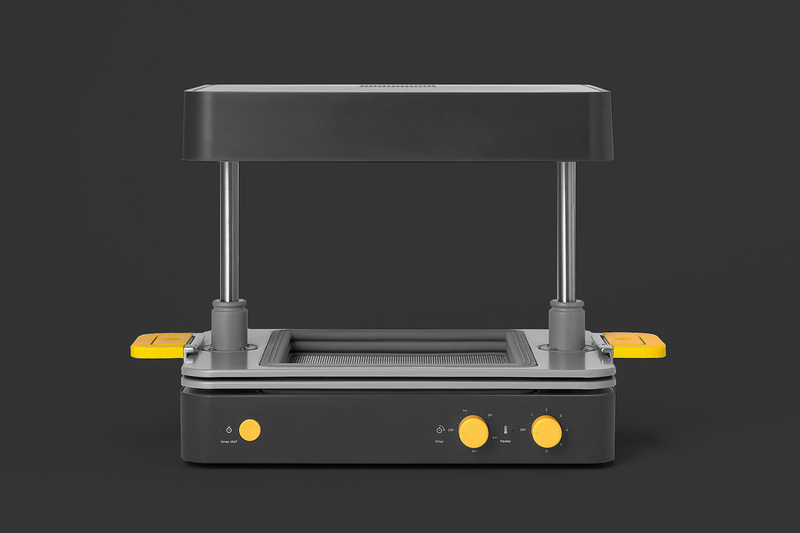 These same designers also have a mobile program — taking machines including vacuum formers, laser cutters and heat sealers to schools in order to teach kids about industrial design. 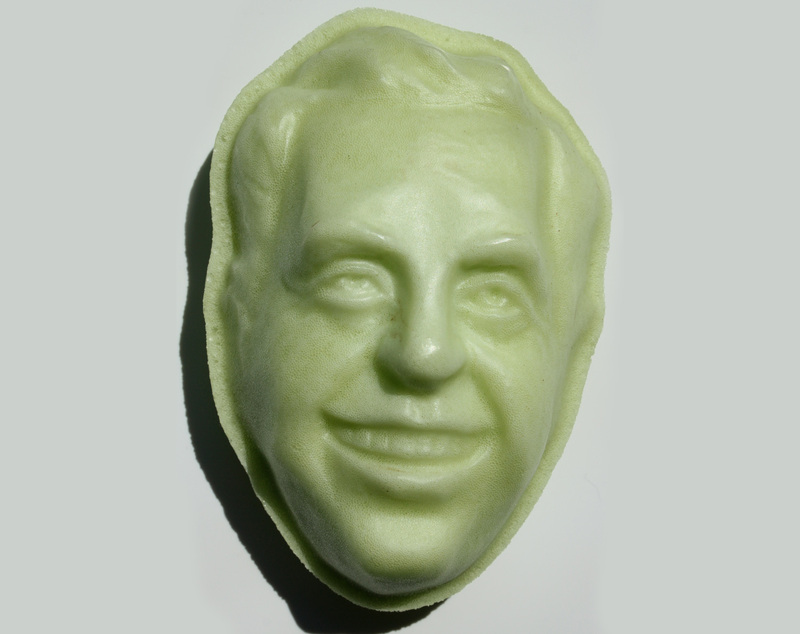 In order to engage younger people in the design process, a lot of what the lab does involves food — mostly using food-safe plastic to make chocolate and jello molds. The lab’s 12 designers have access to 3D printers, laser cutters and the FormBox. 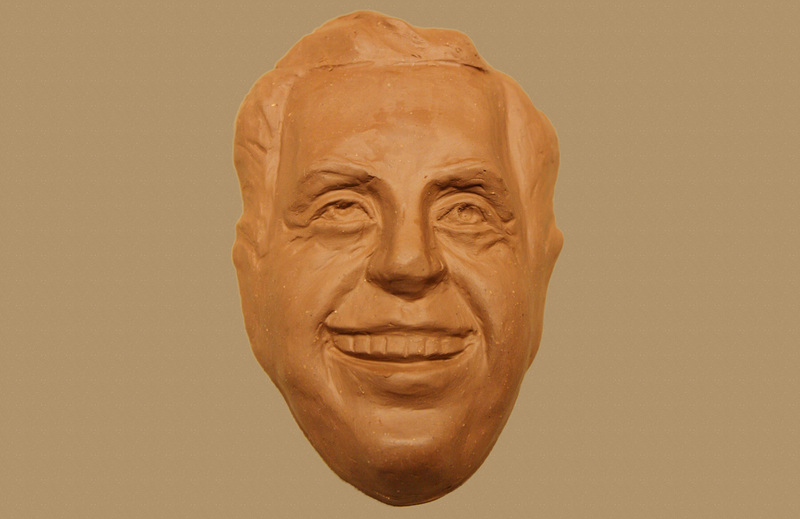 Sculpting in clay, they have created a number of fun, educational things with the FormBox, including a jello bust of Nikola Tesla and a volcano made from playdough. But perhaps the most intriguing thing they’ve made is a vacuum formed mold of a frozen wood frog. Usually animals migrate out of Wisconsin during winter, when temperatures can plummet to double figures below zero. However, the wood frog stays put — encasing itself in ice in order to protect it from the elements. Using the FormBox, teachers at the lab were able to show the children exactly how and why the frog does this. Besides the scientific stuff, the lab does a lot around the manufacturing process. Milwaukee is a big manufacturing town — home to Harley Davidson and Brooke Stevens, one of the designers behind Cadillac and Jeep — and many people in the city work in the automotive industry. When one of its designers heard that BMW was using vacuum forming to make bumpers, dashboards and door panels for its cars, they decided to 3D print a model replica of the same car and use the FormBox to build the different parts, in order to show kids how the different components come together. The sedan seen in these images was carved in clay, formed and cast in resin. The SUV was printed on the lab’s 3D printer after which clay was used to fill in any gaps, and it was formed and cast in resin. 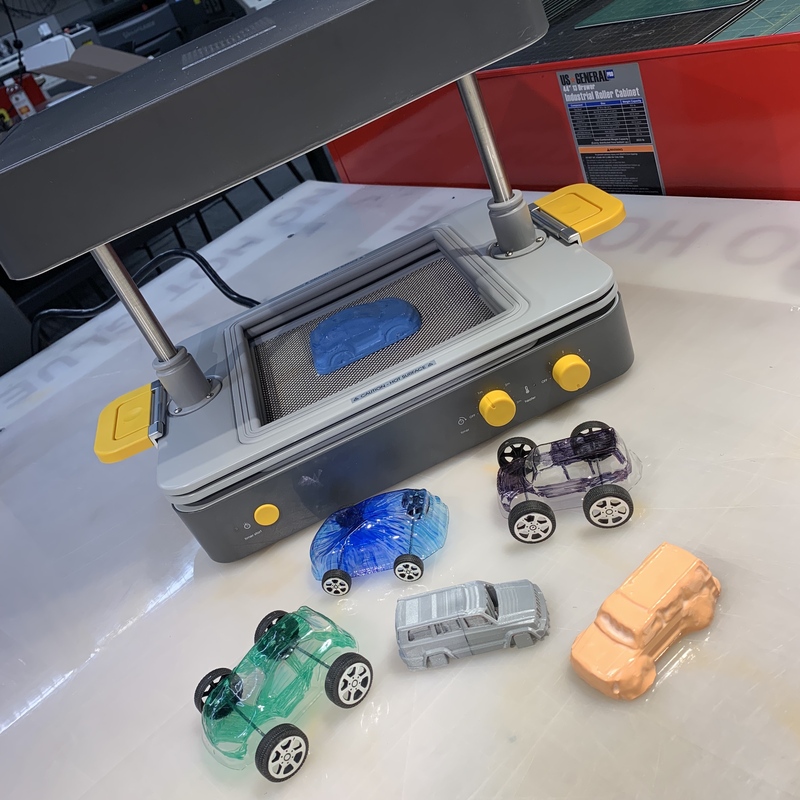 Students from a nearby school formed the car resin molds, cut out the car body and used a hole punch to create an area for the axles and toy wheels. Before the lab purchased its FormBox, it received a donation of several vacuum formers from a local orthodontist. These machines were small (a bed of 5x5 inches) and quite hard to use. Unlike the industrial-looking orthodontic formers, the FormBox is aesthetically pleasing — it looks less intimidating and more inviting to children and first-timers — and easy to use. Kohl’s designers give all newcomers a quick five-minute demo, going over the safety of the machine and how it works, then they are ready to start making. The cost of the Form Sheets is another big plus. Due to the restricted size of the orthodontic formers, the team had to buy bigger more expensive sheets and cut them down to size. The readymade nature of the Form Sheets and their affordable pricing has solved both of these problems.